PADDY McGuinness and Freddie Flintoff presenting Top Gear? Yeah, right. The fact that I initially responded to this week’s big news – admittedly delivered secondhand by a mate rather than through any vaguely official news source – as someone taking the mick pretty much sums up what I made of the situation. Yet there it was on the programme’s official website, complete with a photo of the pair posing with Chris Harris and a freshly polished Porsche 911. Obviously, it was some elaborate publicity stunt by the Beeb, and there’d be a hyperlink somewhere directing me to that ancient internet meme with that shot of Leonardo DeCaprio from The Great Gatsby, winking smugly at you as he clinks a glass of Martini. ‘ONLY JOKING!’, it’d scream in enormous white lettering, and we’d all have a good giggle. Except it didn’t. I’m sure that Paddy and Freddie are both entertaining blokes who’d buy you a pint if you bumped into them a pub and asked them nicely enough, but that shouldn’t be nearly enough to land them the biggest gig in petrolhead-dom. I can only assume that the Take Me Out star has an innate knowledge of lift-off oversteer and the ability to make variable valve timing sound interesting, because Britain’s biggest motoring brand is about to take a massive hit on its credibility if he doesn’t. It matters because, for all its form for deliberately setting caravans on fire and cartoonish mystery racing driving drivers, Top Gear is still a respected name with clout with the people who make cars, people who work with them and yes, you, the people who buy them. It’s no longer be the place to go if you want to know if the current Astra’s any good but it can still do authoritative as much as entertaining – and that’s because the people fronting it had genuine credibility. 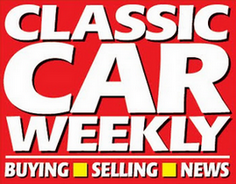 In its mid-Noughties heyday it was fronted by a bloke from Performance Car, a chap who used to present Men & Motors and someone who once got fired from Autocar ­– yep, that’s Clarkson, Hammond and May. You might have found Chris Evans annoying in his single series at the helm but he’s a classic collector who founded and organised his own car show, and Chris Harris has been writing for evo and putting together YouTube clips on cars seemingly since time immemorial. Even Matt LeBlanc has spent an eternity collecting cars and hanging around F1 races. So I worry that putting two presenters who are massively popular but don’t appear to have any motoring background – even the best thing the official Top Gear statement could reassure us with is that McGuinness is “a massive fan” of the show – is a step entirely in the wrong direction. The next season is the last with the current LeBlanc-led presenting trio, but with Paddy and Freddie taking over and the excellent Rory Reid demoted back to the Extra Gear spinoff, Chris Harris will have a lot of work to do to convince people it’ll still be a show that deserves to be taken seriously. Me watching it? Yeah, right. SO Whitehall bureaucracy has succeeded where the Argentine government, the Mexican embassy and the Daily Mail have failed. Even a late-night platter of cold meat – served in a North Yorkshire hotel, of course – tried to finish Top Gear off, but if you believe the tabloids then it’s a dispute over building houses that’ll finally force the Beeb’s motoring juggernaut to pull over. For those of you haven’t had your head buried in the newspapers over the Easter weekend then it essentially boils down to this; the site where both the TG studios and the infamous test track are located have been earmarked for more than 1000 new homes, and last week Housing Secretary Sajid Javid ruled in the developers’ favour. Perhaps in a few years’ time Surrey’s first-time buyers will be snapping three-bed semis in Hammerhead Close and Gambon Grove. But even if it does go ahead, will it kill Top Gear off? Not a chance. In fact, I reckon it’s exactly the shot in the arm that the show needs. I reckon that with every series under the Harris/Le Blanc/Reid premiership the show’s steadily getting stronger, by gorging itself on a diet of properly done, serious car reviews. The bits that are funny are the bits that don’t feel forced; the hilarious segment with the V8 tractor worked because Matt Le Blanc really does have an infectious enthusiasm for farm machinery, owning four tractors in real life. And watching Chris Harris performing all those balletic mid-corner routines is wonderful because he’s clearly in his element doing it. But the bits that really grate are the ones the trio have inherited from the old Clarkson/Hammond/May era. Specifically – and forgive the very old TG reference – they need to find another old Jaguar, stick The Stig in it and fire him off the end of an aircraft carrier for good. The Stig – invented by Clarkson and now Grand Tour exec producer Andy Willman to avoid having a dull racing driver setting the lap times – feels like a groupie who’s outstayed their welcome, or that episode of I’m Alan Partridge where the protagonist awkwardly hangs around a funeral trying to convince someone important to give him a job. If the BBC won’t allow the not-so-mysterious racing driver to rejoin his old chums over on The Grand Tour then he really ought to be quietly pensioned off, so the show’s real stars can get into their stride. It was side-splitting when The Stig arrived in an Isle of Man-based TG episode on the baggage carousel at Douglas Airport, but now the character is baggage of an entirely different sort. PLEASE don’t tell me what Chris Harris has been powersliding lately. Or what car that bloke from Friends has been bigging up. The world’s biggest car show is back on our screens – but I haven’t had a chance to watch it yet. When Top Gear returned to the nation’s living rooms last Sunday night I’d only just settled into mine after moving house, which means that as I write any means of watching it was still sealed neatly away in cardboard boxes. It’s funny how relocating forces you to live on the bare basics. No seeing The Stig drifting BMW M3s for me, then. But what I did get to do was add another motoring superlative to my repertoire during the house move, because the massively extended Vauxhall Movano I used for the job is easily the biggest vehicle I’ve ever been given the keys to. There doesn’t seem to be an official term for it but the rental firm that entrusted it to me refers to it as a Maxi load, although it’s about as far from the old British Leyland hatchback as Donald Trump is from a sensibly written tweet. It’s a bit bigger, and considerably longer, than a normal Luton van, which means that once you get behind the three seats you have a load area that’s bigger than a typical student flat. As a result its road presence is vast. Yet it’s all uncannily normal to drive. Once you get used to what feels like a precariously high driving position – from the helm of a Maxi load you’re looking down on Range Rovers and workmen in Ford Transits – it feels like you could be driving the latest Astra. The steering’s a little vague but it’s light and does everything you ask of it, the six-speed manual does a fine job of keeping the 2.3-litre turbodiesel in check and it’ll tootle along at 60mph while barely breaking a 2000rpm sweat. The fact it can do all this while conveying an entire three-bedroom house’s contents and not creak at the seams, I reckon, is truly remarkable. The only thing you’ve got to watch out for is just how generous its proportions are; I thought it’d be the width that’d catch me out but in fact it’s the lengthy stroll between the front and rear axles that kept me on my toes throughout my weekend with it. But once you get used to thing it’s surprising how something so enormous can feel so reassuringly normal. I don’t think the Movano Maxi load will ever earn itself a mention on Top Gear, but in its own unapologetically useful way it’s just as impressive. AFTER what feels like an eternity one of the biggest battles in motoring is about to get underway. Or at least that’s what the tabloids want you to think. In the ginger – sorry, red – corner there’s the new series of Top Gear. Chris Evans has stuck to his vow to resuscitate it post-fracas by the end of May 2016 – but only just, because the new series finally hits our screens on 29 May. Their contender in the increasingly grey-haired corner is the old Top Gear trio, only with a reportedly much bigger budget and a cyberspace colossus backing them. The script every other newspaper report, motoring website and Facebook commenter want you to read is that Chris’ capers will crash and burn to either horrifically low ratings or the entire team falling out and vowing never to work with each other again by the end of the first series. In the meantime Clarkson’s new show will roll up, convert every TV viewer into an internet evangelist and that’ll be the end of the car show I grew up with. All of which is utter nonsense, of course. Top Gear vs (the rather oddly named) Grand Tour just isn’t going to happen, and I haven’t heard a single car nut tell me they’re going to watch one over the other. They’ll watch Chris Evans and Jeremy Clarkson, mainly because one’s on a TV show starting next week and the other’s fronting an online collection of films which is unlikely to start until much later in the year. I can’t be the only one wanting both to succeed, because it means for the first time we’ve got two big budget motoring shows to sit back and enjoy. Both are fronted by blokes with charisma and a genuine, heartfelt passion for classic cars – if you’ve ever been to one of Chris’ CarFest shows and watched him wandering around gawping at the supercars, you’ll know he’s still one of ‘us’ no matter how much he admits to being overpaid by. Jeremy, Richard and James (who incidentally are publicly rooting for Top Gear’s success) are meanwhile free to do even more of the big, spectacular car adventures they did so well before someone threw a plate of cold meat in the works. I’m keeping an open mind on both, and so should everyone else.